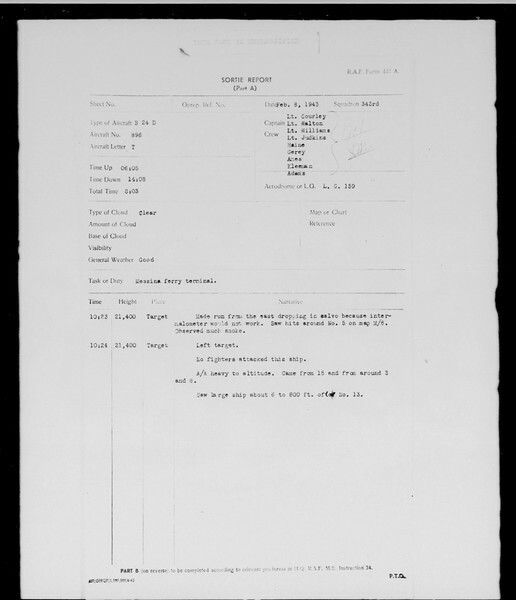 MIcrofilm that Maxwell AFB had on 98th; it includes escape and evasion reports for 1943-44; and interesting summary of the 98th's intelligence ops and sortie reports from 1942 to 1943. To view/save to your computer. Click the image you want to see. select the "stacked boxes icon at the bottom right." click "original" size. Then right click to save as to your computer. The film was not in a particular order as far as I can tell.